On 29th September, a Ugandan man, aged around 30 and presenting symptoms of haemorrhagic fever, died in a hospital in the Ugandan capital, Kampala. On 4th October, the Centre for Disease Control and Prevention (CDC) announced that the man's blood tests had revealed contamination by Marburg fever. Médecins Sans Frontières/Doctors Without Borders (MSF), which has been working in Uganda since 1986, is currently mobilising its teams in preparation for a response. Marburg hemorrhagic fever is an acute infectious viral disease belonging to the same family as Ebola. Unfortunately, it is often fatal. The modes of transmission include: contact with certain animals like bats or monkeys and between people through either direct contact with blood, body fluids, secretions or tissue from sick people, animals or dead bodies. The symptoms are: sudden onset of high fever, severe headaches, general pain and weakness, vomiting, diarrhoea, and internal and external bleeding are similar to those of Ebola. During the incubation period, two to 21 days, infected people are not contagious. The last Marburg epidemic in Uganda was in 2012. It lasted just over two months. “As with Ebola, there’s no vaccine and no treatment other than supportive care like rehydration, stabilising blood pressure, reducing the fever, administering pain-killers and antiemetics,” explains Dr Estrella Lasry, MSF’s adviser on tropical diseases. “The last Marburg epidemic in Uganda was in 2012. It lasted just over two months. There were 20 cases and 45 percent of them were fatal. That same year there were also two Ebola epidemics in the country”. MSF has been working in Uganda since 1986. "Usually, we run HIV and AIDS-related activities. But as on all our projects, our teams are always on stand-by to respond to emergency situations: in 2013 to 2014, it was assistance to Congolese and South-Sudanese refugees and in 2012 it was a response to the Ebola epidemics”, recounts Pierre Mendiharat, MSF’s programme manager in Uganda. The man who has just died lived near Mpigi, a district situated about 23 miles from Kampala. He was employed in one of the district’s health centres and worked nights at Mengo hospital, in the heart of the capital. “The Ministry of Health and the CDC are currently trying to trace all the people who have been in contact with him and who may have been infected so they can, if necessary, be isolated and placed under surveillance” explained Pierre Mendihart. 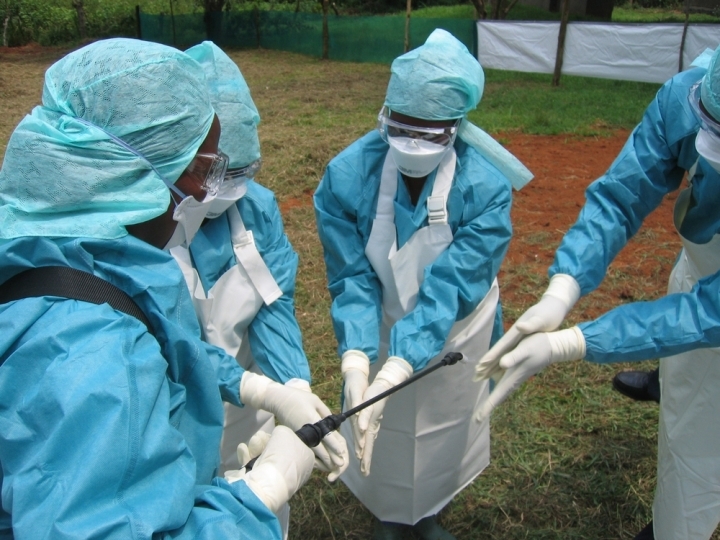 Similar to when dealing with Ebola, health care workers must wear personal protective equipment. As with Ebola again, the family and health personnel in contact with infected patients are particularly at risk of contamination. In collaboration with the Ministry of Health, MSF is strengthening its capacity to respond to a potential epidemic. It is initially focusing its actions on health personnel supervision and training in clinical management of the disease and infection control measures. To do so, an emergency team is being put in place, made up of two coordinators, three medical staff, who have just finished their Ebola mission in West Africa, and two technicians specialised in water, hygiene and sanitation. A stock of specialised equipment was already on site and a full Ebola and Marburg treatment kit for 15 patients is on its way out to Kampala. 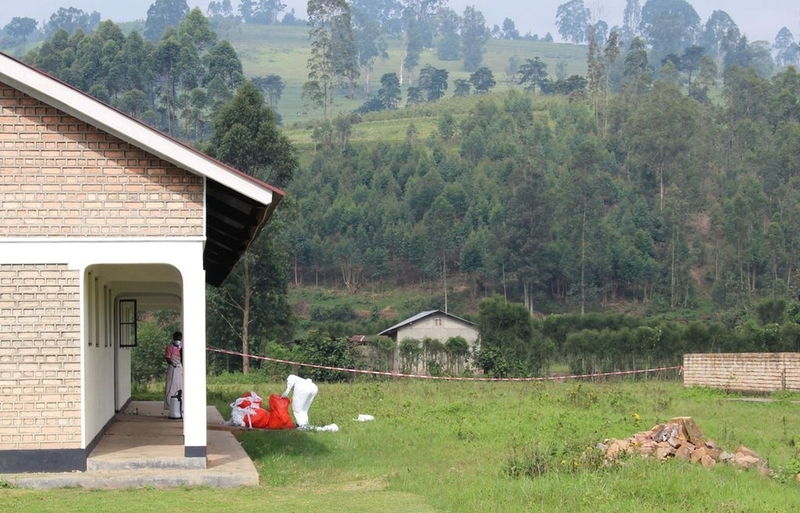 MSF will supply hazmat suits and personal protective equipment (PPE) as well as specialised hygiene and sanitation equipment to the Mpigi and Mengo health centres. The centres’ staff will be trained in the correct use of PPE and implementing infection control measures. In the referral centre at Kampala’s Mulago hospital, where any suspected Marburg cases would be sent, MSF will rehabilitate the treatment unit and support the activities of the Ministry of Health should any patients be admitted. Lastly, an MSF ambulance will transport suspected cases from the health centres to Mulago hospital.